This grid aims to inspire businesses to reconceive how they operate and to become more future proof. To grab the opportunities of a sustainable future, innovations need to introduce environmental and social considerations at the core of the business model. Ordered around 8 ‘archetypes’ of business models, we present a multitude of approaches and 100 real life business cases. The resource revolution is on it's way. Commodity prices soar, new middle classes emerge, technology leaps ahead and consumers raise their voices. The untransparent and linear model of take, make, dispose has reached it's limits. New economic approaches and opportunities see the daylight. Learn more about the grid. Remark: fitting cases into boxes always involves making choices and reducing the nuances. Many cases could therefore also fit into other boxes in the grid. The grid is based on research by Nancy Bocken, Samuel Short, Padmakshi Rana and Steve Evans (University of Cambridge, Centre for Industrial Sustainability): A literature and practice review to develop sustainable business model archetypes. 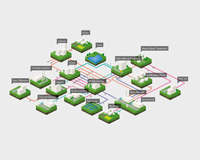 It is produced and maintained by Circular Flanders, the hub and the inspirator for the Flemish circular economy. Sources: Centre for Industrial Sustainability: A literature and practice review to develop sustainable business model archetypes, Wikipedia, The Blue Economy, Ask Nature, McKinsey: The Resource Revolution, The Ellen MacArthur Foundation, SUSTAINIA100 2014 and the official websites of the companies cited in the grid. Do more with fewer resources, generating less waste, emissions and pollution. The concept of ‘waste’ is eliminated by turning waste streams into useful and valuable input to other production cycles and making better use of under-utilised capacity. Reduce environmental impacts and increase business resilience by addressing resource constraints ‘limits to growth’ associated with non-renewable resources and current production systems. Provide services that satisfy users’ needs without having to own physical products. Learn more with this infographic. Proactively engage with all stakeholders to ensure their long-term health and well-being. Solutions that actively seek to reduce consumption and production. Sharing resources, knowledge, ownership and wealth creation. Generating social value - not wealth - is the central criterion of a successful social entrepreneur. While wealth creation may be part of the process, it is not an end in itself. Promoting systemic social change is the real objective. Definition: Lean manufacturing is a well-established philosophy that identifies and seeks to minimise waste in production processes. Waste in this context is not only seen in the physical waste materials and waste energy, but also in over-production, materials handling, over-processing, inventory, defects and rework. In 2012, Nike introduced the Nike Flyknit technology. The technology precisely engineers yarns and fabric variations only where they are needed for a featherweight, formfitting and virtually seamless upper. The breakthrough knits in all the structure and support into one layer with precise integration of support, flexibility and breathability. Nike worked on the technology for four years. 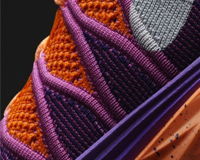 The result is a considerable reduction in weight: the Flyknit Racer is 19% lighter than the Nike Zoom Streak 3. It also delivers considerable reduction in waste, by eliminating multiple materials in the upper and cuts from traditional material construction, the Flyknit Racer had 80% less waste in the upper than a traditional-profile running shoe. Definition: Additive manufacturing (or 3D printing) is any of various processes of making a three-dimensional object from a 3D model or other electronic data source primarily through additive processes in which successive layers of material are laid down under computer control. Melotte is an industrial company and pioneer in Direct Digital Manufacturing with focus on manufacturing process transition. 3D printing in metals is part of Melotte's complete digital supply chain. The company stimulates local manufacturing through technology transition. 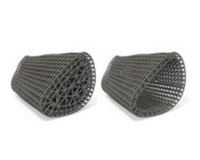 Melotte represents conventional machining, meaning controlled material removal processes, as well as Additive Manufacturing. The company uses state-of-the-art technologies to reduce the amount of natural resources and energy needed in the production process. The company is realizing an environmental damage reduction of factor 8 through design optimization, 3D printing and digitized supply chain. Through its work with Additive Manufacturing (AM) Materialise is helping bring great ideas to life. The company puts products aimed at niche markets directly into the marketplace on the one hand, and creates rapid prototypes of mass-products on the other hand. Materialise's software is also powering new innovations in biomedical research, helping surgeons with the planning and execution of complicated surgical procedures. With an easy-to-use online service, anyone can relatively easily create a customized object. 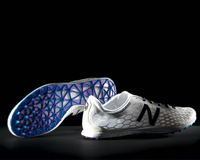 Materialise opened the world's first store dedicated to 3D printed design in Brussels. Materialise continuously researches technologies and developments that can improve the environmental impact of products. 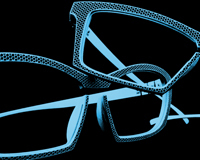 The company, for example, explores the possibilities of lightweight parts. Materialise is also involved in research to develop a logistical and technological system for spare parts that is based on on-demand production. Definition: Dematerialization refers to the absolute or relative reduction in the quantity of materials required to serve economic functions in society. In common terms, dematerialization means doing more with less. 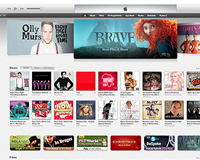 iTunes is an example of virtualization because it radically replaced the physical carriers and shops for music, books, games and films. It created the context for a whole new way of purchasing and experiencing the enternainment industry, with a content, marketing and transactions-system that's fully digital and automated. The voicemail services most mobile network operators provide, replace the need for thousands of individual physical answering machines. One piece of software on centralized servers does the same job. Drones get the pilots out of planes. 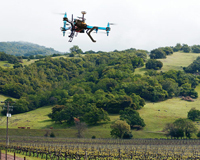 The pilot - as long as he is not replaced entirely by software - remains on the ground in a virtual cockpit, while the drone flies high and far in the air. This results in a considerable optimization of the plane: it saves sitting space (no seat, no instrument panel), life support systems (no oxygen or climate control, no food) and pilot safety systems (no ejection seat, no parachutes, less critical defense systems). Also all limits induced by the human body are lifted: the allowable height, flight duration or G-forces become only technologically limited. 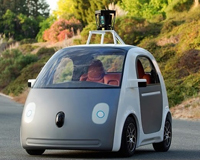 Seldriving cars, like the Google Self-Driving Car can eliminate all kinds of inefficiencies and waste in traffic. Because they remove the driver from the steering wheel, they remove all quirks and limitations of the human brain. A self-driving car would be much safer: accidents and all the material and human costs involved would become rare. A self-driving car would also be able to communicate with other vehicles and drive very closely at high speeds in (fuel efficient) platoons. Traffic jams would be history and the number of highway lanes needed for an optimal traffic flow would drop, together with the land they use. Also self-driving cars could drive around continuously, picking up and dropping off passengers. The idle time of cars (which now accounts for 96% of a car's life) could be reduced considerably. This means no more searches for free parking space. Even the concept of parking lots as a whole could become obsolete. The staple-free stapler stitches up to five pieces of paper together without staples. It cuts out tiny strips of paper and uses the strips to bind the pieces of paper together. Definition: Increased functionality is a strategy which involves reducing the number of products required to achieve the same economic effect. Modularity is one of the approaches. Doing more with less. DIRTT = Doing It Right This Time. 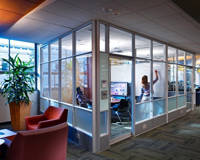 DIRTT uses powerful software and clever modular and interchangeable parts to create customized offices on a mass scale. At the end of its life an office space can be disassembled and reused. DIRTT's solutions adapt over time and never see the recycling bin. 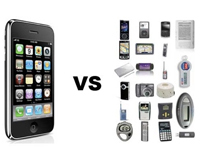 Figure the physical products a smartphone replaces: radio, timer, watch, alarm clock, calendar, roadmaps, gps, camera, dictaphone, tickets, walkman, discman, iPod, notebook, and even cash money and credit cards. Definition: Closed-loop business models include products and business processes designed in a manner that enables waste at the end of the use phase of a product to be used to create new value. Learn more at EllenMacArthurFoundation.org. 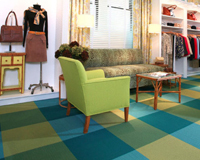 Interface produces and reuses modular carpet tiles worldwide. In the 90's Interface embraced the principles of The Natural Step and Biomimicry to realize its ecological goals. The company launched the ReEntry program, to produce recycled materials from old carpets. Within the program, Interface maintains close relations with its customers up till the end of life of the carpets. 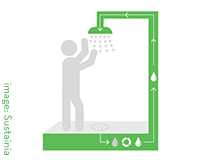 When the tiles need replacement, Interface and the customer explore the best solution : cleaning, redesign/reuse or recycling. ReEntry greatly expanded Interface's access to recycled nylon and the company is starting to see a path to producing closed loop carpet products. Since 1995 the ReEntry program has globally processed more than 121.000 tons of carpets and rest materials. With ReEntry 2.0 Interface will be able to regain the raw materials from carpets, such as the yarn and the backing. 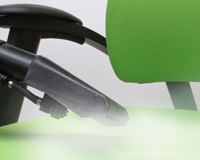 BMA Ergonomics started as an ergonomic consultancy to its current status as producer of ergonomic seating solutions. 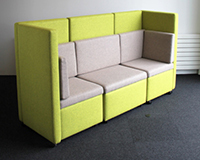 BMA Ergonomics focusses on design for disassembly, re-use and recycling of their products. The company aims to remove as many old chairs from the market as possible bij giving a return guarantee. The chair repurchasing scheme enables their suppliers to reprocess the returned components into fresh raw materials for new chair parts. Part of the repurchased chairs get repaired and get a second life. BMA Ergonomics also provides in leasing of seating solutions. Gyproc produces gypsum- or plasterboards for interior construction. 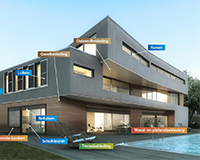 The Gyproc-board is the only plasterboard in the world awarded with the Cradle-to-Cradle-certificate. Gypsum is basically infinitely recyclable. 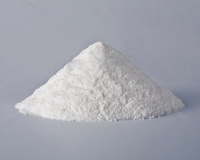 The properties of the material in the gypsum board are identical to those in the raw material. Therefor, the materials cycle can be closed when the plaster from the Gyproc plate is separated from the carton again. That's what happens at Gyproc: the company recycles at least 25.000 tons of gypsum per year. Flooring company Desso have been one of the pioneers of the Cradle to Cradle approach, and was the first carpet manufacturer in EMEA to gain C2C certification. The company continues to innovate around the principles of a circular economy, extending these products to a large portfolio of clients in both carpet and artificial grass divisions. 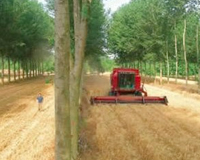 In 2008, Desso launched its Take Back programme and developed an innovative separation technique called DESSO Refinity. Through Refinity DESSO takes back old carpets and separates the yarn and other fibres from the backing. This creates two main material streams: the yarn which is sent back to the suppliers for recycling and the bitumen (currently the most common material for carpet backing), which is sold to the road and roofing industry. All non-recyclable fractions are used as secondary fuel in the cement industry. One of the suppliers, Aquafil has developed proprietary technology to recycle old Polyamide 6 yarn from used carpets into new material known as ECONYL over and over again. Today, Over 50% of the carpet tile range of DESSO is available with ECONYL yarn. Desso also provides in leasing solutions together with its partner Composil. Composil rents carpet to its customers, maintains it and in the end takes back the carpet for further recycling by Desso. Customers pay per month for the use of a well maintained and clean carpet. 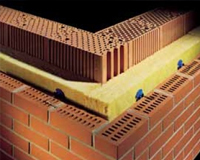 Wienerberger produces building materials worldwide. The company received the Cradle to Cradle certification for its Porotherm ceramic interior bricks produced in Beerse, Rumst and Zonnebeke (Belgium). Wienerberger also developed a procedure to separate red ceramic fractions from demolition debris. Ecor is a commercialized material made from natural waste that can be used to manufacture a wide range of construction products. 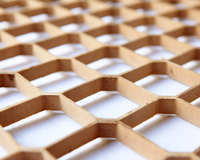 Ecor is a flexible and multiuse material for construction, interior design, and furniture. It is made from cellulose fibers, an abundant material found in urban, farm, and forest waste. Waste materials such as cardboard, wood, and byproducts from agriculture are combined with water, heated, and pressurized to make Ecor products. The material is used for walls, panels, and displays, and is even sturdy enough to create small buildings. It can also be recycled into new products after use and contains no chemicals, petroleum, or other additives. The process that goes into making the material is simple, resulting in Ecor's success in commercializing, distributing, and outsourcing production. 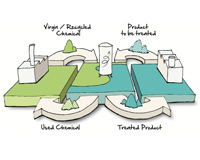 Definition: Industrial symbiosis is a process orientated solution turning waste outputs from one process into feedstock for another process or product line. SYMBIOSE creates a matchmaking service to valorize industrial waste streams and excess resources (waste heat, infrastructure, technology, spare parts, staff...) in Flanders. Resources considered 'waste' in one company can be matched by SYMBIOSE as raw material for another company. The Kalundborg Symbiosis, near Copenhagen, Denmark, is the world's first working industrial symbiosis. It is an industrial ecosystem, where the by-product or residual product of one enterprise is used as a resource by another enterprise, in a closed cycle. 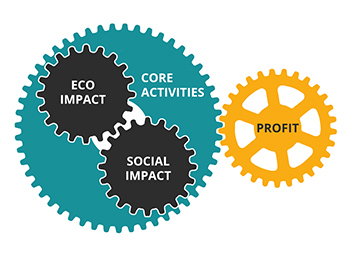 An industrial symbiosis is a local collaboration where public and private enterprises buy and sell residual products, resulting in mutual economic and environmental benefits. Definition: To reuse is to use an item again after it has been used. This includes conventional reuse where the item is used again for the same function, and new-life reuse where it is used for a different function. 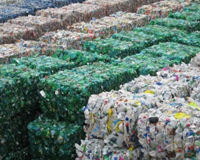 In contrast, recycling is the breaking down of the used item into raw materials which are used to make new items. Remanufacturing is the process of disassembly and recovery at the module level and, eventually, at the component level. It requires the repair or replacement of worn out or obsolete components and modules. 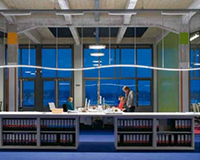 Nnof or Nearly New Office Facilities supplies a range of products and services in the field of the ecological reuse and upgrading of existing office furniture. The customers' office furniture serves as the raw material for the projects Nnof brings to fruition on their behalf. Whether they are dealing with catalogue products or tailored designs. The NNOF offering comes in many guises: from sheer reuse all the way up to the complete transformation of existing objects. 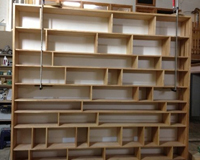 Drawer units can be made into lockers, desk tops are sawn and reused to make sitting blocks. Reusing raw materials comes with a significant financial gain. Plus it helps you drive down the ecological footprint of customers. 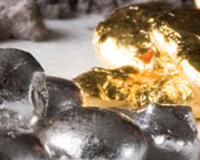 Umicore Precious Metals Refining operates as one of the world's largest precious metals recycling facilities. This business unit of Umicore is the world market leader in recycling complex waste streams containing precious and other non-ferrous metals. The company recovers and sells precious metals (silver, gold, platinum, palladium, rhodium, iridium, ruthenium), special metals (indium, selenium, tellurium), secondary metals (antimony, tin, bismuth) and base metals (lead, copper, nickel). Recycling metals is very profitable: the metals don't degrade and don't lose their value over time. One ton of e-waste contains 100 times more gold than raw ore from the mine. Umicore recovers 100 tons of gold each year. It reaches recovery rates of more than 95% of the metals from e-waste. 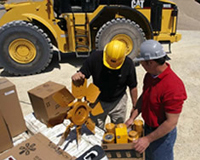 As the world leader in remanufacturing, Caterpillar Reman is making progress possible finding new ways to reduce, reuse, recycle, and reclaim materials which once would have gone into a landfill. Cat Reman returns products at the end of their lives (called 'core') to same-as-new condition at a fraction of the cost of a new part. Through the remanufacturing process Caterpillar reduces waste, lowers greenhouse gas production and minimizes the need for raw materials. Reman's model is an exchange business. It charges customers a price well below new for a Reman product, plus it charges a deposit. When customers return their used components (called "cores"), Reman refunds their deposit. Caterpillar uses a proprietary core management system to globally manage core returns from dealers and Caterpillar inspection facilities and determine the core credit amounts that will be refunded. Renault operates a dedicated remanufacturing plant near Paris, France. There, several hundred employees re-engineer 17 different mechanical subassemblies, from water pumps to engines. Renault works with its distributor network to obtain used subassemblies, and supplements these with used parts purchased directly from end-of-life vehicle disassemblers as well as with new parts where necessary. 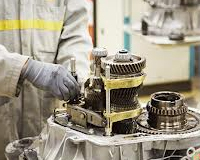 Renault's ability to structure and run its reverse logistics chain and access a steady stream of cores, together with its deployment of highly skilled labour, has allowed the company to grow its remanufacturing operations into a 200 million euro business. Indaver develops intelligent waste management systems and operates complex and innovative treatment facilities. 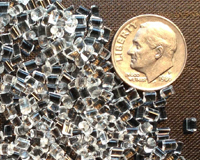 Indaver considers residual streams mainly as potential raw materials consisting of valuable molecules. Because Indaver manages 5 million tons per annum, the company has an insight in the European residual stream market and the valuable materials to be valorised. Indaver Molecule Management or IMM are dedicated projects to valorize material and energy from residual streams arising from industrial processes. Indaver operates a hydrochloric acid regeneration plant for Tata Steel in IJmuide, The Netherlands. The hydrochloric acid is used by Tata to remove oxidation from steel plates after rolling. 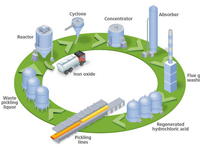 Indaver regenerates the used and contaminated hydrochloric acid in pure hydrochloric acid and iron oxide that is immediately reused for 100% in the production process of Tata Steel. 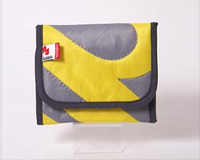 Flagbag is a manufacturer of bags, sleeves and wallets. All the Flagbag items are made of old flags which are sewn into a wide variety of useful articles and gadgets. To make the products, Flagbag locally employs people who have had trouble finding regular employment. Most of the raw materials (flags) come from a yearly music festival "Pukkelpop" nearby. 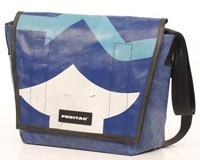 Freitag produces bags from used truck tarps and safety belts. Giving used materials a new life is called "recontextualizing" at FREITAG. Each product is a different, unique piece. Definition: In response to the growing problem of excessive waste, several countries adopted waste management policies in which manufacturers are responsible for taking back their products. Here we consider voluntary programs set up by manufacturers themselves or other organizations. Derbigum provides customized innovative and sustainable solutions for roofs and buildings to save energy and costs, produce renewable energy, increase the sustainability as well as decrease the carbon footprint of buildings. The roofing of Derbigum is partially made from recycled roofs. Derbigum has invested considerably in a recycling process for old roofing and cutting waste. Each year the company recycles 4000 tons of bitumen. That is more than a quarter of the needed resources. Take back logistics remain a challenge. Derbigum cooperates with demolition firms and waste collectors to get the resources to their plant. 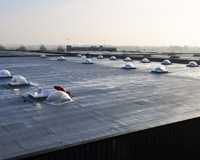 Derbigum also pioneered with Derbipure, a non-bituminous vegetal roofing membrane composed of vegetable oils and pine-resin. 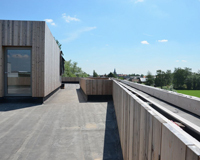 Derbipure is the first vegetal roofing membrane in the world. Thanks to Derbipure's pH-neutral coating, rainwater can be drained off into nature without any chemical pollution. 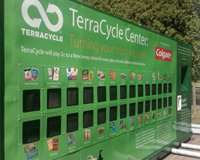 TerraCycle provides free waste collection programs for hard to recycle materials. This company then turns the waste into affordable green products. TerraCycle does this by creating waste collection programs (each one is called a "Brigade") for previously non-recyclable, or difficult-to-recycle, waste. Samsung's S.T.A.R. 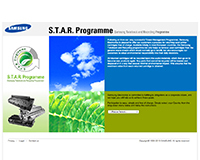 Program is a free service for business and consumer printer customers who want to recycle old printer toners. The program safely reprocesses empty cartridges into their major usable component materials (plastics and resins, metals, non-metal materials, packaging cardboard, and other miscellaneous materials) and then makes those recovered materials available to the raw materials marketplace for reuse in new manufacturing for a range of products. The Samsung S.T.A.R. program's firm promise is that every returned empty cartridge is safely and responsibly recycled; they are never incinerated or sent to landfills. Through its simple consumer and business takeback system, along with its worldwide infrastructure, I:CO aims to keep used clothing and shoes in a continuous closed-loop product cycle. As a result, I:CO increases product lifespan and encourages manufacturers to be mindful of resource use in their designs. Through cooperation with large retail partners, used shoes and clothing are collected in stores and other retail outlets. 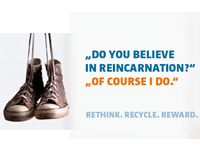 As an incentive to participate, customers are financially rewarded for depositing their used items. Once collected, the textiles are sorted according to more than 350 criteria for designation. Used clothes can be labeled suitable for second-hand sale, recycling into fibers and paddings, or upcycling into products of equal or higher quality. 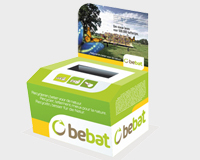 EcoATM is a network of automated electronics recycling kiosks, currently deployed nationwide in the United States. Through simple steps, customers can easily recycle their devices while putting a little cash in their pockets. 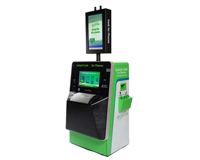 When a device is deposited into an EcoATM kiosk, it is scanned for type, serial number, and condition. The EcoATM will then search for the highest price among a network of buyers, and ask if you agree to sell your device. If so, money is exchanged on the spot after proof of identity is provided. Live monitored cameras match sellers to their I.D. before cash is dispensed, and all transactions and personal information are reported daily to local police to help identify possible theft. Definition: Under-utilised assets and capabilities as a form of wasted value might be re-captured through sharing - shared ownership, and collaborative consumption approaches. 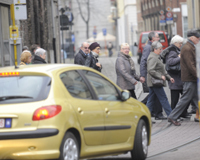 Dégage is a een car sharing system of private owners in Ghent, Belgium. The system encompasses 25 cars and more than 500 users. Car owners can register and rent their car for a compensation per kilometer. Non-car owners get access to reasonably priced rental cars, car owners valorize the idle time of their car. 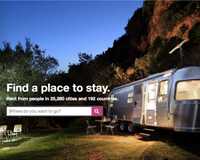 Airbnb is a website for people to rent out lodging. It has over 500,000 listings in 33,000 cities and 192 countries. Users of the site must register and create a personal online profile before using the site. Every property is associated with a host whose profile includes recommendations by other users, reviews by previous guests, as well as a response rating and private messaging system. Owners can rent their excess capacity, travellers get access to reasonably priced rooms and houses. Uber is a transportation network company, that makes mobile apps that connects passengers with drivers of vehicles for hire and ridesharing services. The company arranges pickups in dozens of cities around the world. Cars are reserved by sending a text message or by using a mobile app. Using the apps, customers can track their reserved car's location. 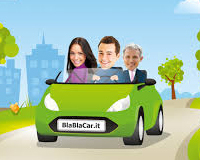 The BlaBlaCar website and mobile app allows drivers to publish a planned journey. Just like other travel sites, people can then search and book their journey. With over 7 million members in 12 countries across Europe, and a community doubling in size yearly, BlaBlaCar is scaling fast. It is financially viable with a proven commission model and is having a positive social and environmental impact by reducing dependency on single-occupancy vehicles and ownership. BlaBlaCar provides a range of features to create a trust-based community, for example, a 24/7 member relations team, verified contact details, and community ratings. 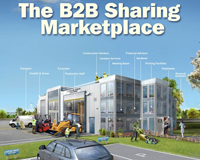 Definition: The Sharing Economy (sometimes also referred to as the peer-to-peer economy, mesh, collaborative economy, collaborative consumption) is a socio-economic ecosystem built around the sharing of human and physical assets. Often this is enabled by technology and peer communities. The benefits of collaborative consumption may include reducing carbon foot print by sharing transportation and assets, and saving costs by borrowing and recycling items. Floow2, in the Netherlands, is an example of what an Airbnb for businesses could look like. A marketplace for equipment like forklift trucks and earth-diggers, it allows companies to list items they're not using, and have other businesses rent them out. The rental of idle capacity can - thanks to software and social media - become an important source of revenue for existing businesses. Floow2 is aimed at small- and medium-sized businesses located near each other--say, within a five miles radius. One company might not need a van for a week, so a manager tells the rest of the community. Another might have received an extra order, so rents the van. One side gets rental income, the other takes care of business without heavy investment. Peerby enables you to borrow the things you need from people in your neighborhood, for free. Do you need a barbecue, a bike, a ladder or a power drill? Post your request and Peerby will find a neighbor that can help you out. Peerby wants to establish an alternative for the consumption driven throw away culture, by connecting people with each other and encouraging collaborative consumption. By connecting people and their items with each other, they do something good for you, your wallet and the environment. Definition: Extended producer responsibility is a strategy designed to promote the integration of environmental costs associated with goods throughout their life cycles into the market price of the products. In response to the growing problem of excessive waste, several countries adopted waste management policies in which manufacturers are responsible for taking back their products from end users at the end of the products' useful life, or partially financing a collection and recycling infrastructure. European law stipulates that each producer or importer of batteries has to comply with an extended producer responsibility, and more precisely the obligation to take back and process used batteries. Also they have to extensively inform and sensitize consumers. European law stipulates that each manufacturer and importer of electro-appliances has to comply with an extended producer responsibility, and more precisely the obligation to take back and process discarded appliances. Also they have to extensively inform and sensitize consumers. To comply with these obligations on a larger and more efficient scale, producers joined forces and started the collective Recupel. Recupel takes care of the legal obligations. It collects, sorts and recycles electro-appliances. Consumers from their part, pay a Recupel contribution when they purchase a new electro-appliance. Recupel uses this revenue to organise and coordinate the collection, sorting, processing and recycling of discarded appliances in Belgium. The collected appliances are dismantled in an ecological way, depolluted and processed in specialized processing companies. The recovered materials are used to manufacture new products. Definition: This spans options from substitution of finite materials with renewable materials, such as replacing metals with natural and fibre-based materials, through to system-level renewable power generation systems. Proviron is a Belgium-based sustainable chemicals manufacturer. One of the product groups into which they do research are microalgae. These are, according to Proviron, the feedstock of the future. With the ProviAPT photobioreactor, Proviron has researched and developed an efficient method to grow these minuscule plants. This is done is such a way that their many interesting traits can be fully exploited. Microalgae hold a host of high value compounds. They are highly acclaimed for their bulky levels of poly-unsaturated fatty acids and potent antioxidants. At the same time, they are an abundant source of carbohydrates, proteins rich in essential amino acids, vitamins and trace elements. Often, they also possess antibacterial, antiviral and/or immune-stimulatory activity. These properties find use in nutritive supplements, medication, cosmetics, feed and food applications, and chemicals. Algae transform sunlight into biomass with impressive efficiency, easily outperforming traditional crops like sugarcane. Furthermore, algae require no fertile soil. 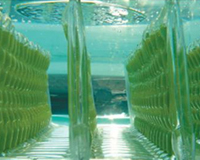 Growing algae therefore does not compete with traditional agriculture. Given the appropriate production circumstances (algae can be cultivated all year through, both in fresh and salt water. In addition, during growth greenhouse gas CO2 is captured and oxygen released. ROMBAUT is an all-natural avantgarde men's footwear concept from the Paris-based Belgian designer Mats Rombaut. ROMBAUT shoes are crossover between high fashion and ecological awareness, eliminating toxic and animal-derived substances in the process. The shoes are constructed from Ugandan tree bark, natural latex from the Amazon, and coconut fiber. Wakati is a simple and innovative solution that alters the climate of fruit and vegetable storage spaces to increase shelf life and reduce post-harvest losses by over 20 percent. The climate control approach used by Wakati requires a fraction of the energy and materials necessary for traditional cooling systems. Wakati is a cheap, clean and life changing alternative to vegetable storage. According to the FAO, 45% of fruits and vegetables in developing countries never reach the consumer. This postharvest loss is a result of smallholder farmers and market vendors lacking adequate protection for their produce from the climate, pests and diseases. Wakati resolves this by producing affordable climate chambers that prevent crops from dehydrating. Wakati keeps the cell structure intact, incubating the crops instead of hibernating them with industrial cooling. This results in a prolonged shelf life and better quality. 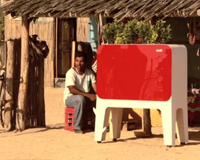 Using pre-industrial cooling methods, agency Leo Burnett Colombia created a self-cooling fridge, packed it with Cokes, and delivered it to Aipir, one of Colombia's hottest towns. The cooling system was developed in collaboration with the International Physics Centre in Bogota. It works two ways: when the plants are watered, the evaporation cools another chamber; and solar power is used to turn a gas contained in the unit into liquid. That process creates an additional cooling effect. The developers hope to bring the idea to a higher level and use it to cool medicines or vaccines in remote and hot areas. Definition: The ultimate aim of the Blue Economy business model is a shift in society from scarcity to abundance "with what we have", by tackling issues that cause environmental and related problems in new ways. The theory highlights potential benefits in connecting and combining seemingly disparate environmental problems with open-source scientific solutions based upon physical processes common in the natural world, to create solutions that are both environmentally beneficial and which have financial and wider social benefits. Learn more at theblueeconomy.org. From the biomass harvested at the coffee farms, only 0.2 percent is ingested, the rest is simply left to rot. Coffee serves as an ideal substrate for farming tropical mushrooms like shiitake or ganoderma. Whereever in the world people farm or drink coffee, in the city or countryside, waste can be converted to protein. PermaFungi is a Brussels-based startup which grows mushrooms and creates fertilizer out of coffee pulp. With it's technique, Permafungi seeks to create a socially responsible company which develops a decentralized production chain in Brussels. Ecover is a Belgium-based company that manufactures ecologically sound cleaning products (made from plant-based and mineral ingredients). In the 1980's Ecover created the first phosphate-free laundry detergent. Ecover will soon be the first manufacturer of cleaning products in Europe to make laundry liquid with (locally sourced) algal oil. 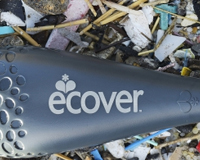 Ecover currently campaigns around ocean plastics. The company wants to sensitize the public and start the clean-up. As a first step, Ecover designed a 'special edition' bottle of dishwashing liquid, made of 100% recycled plastics, of which 10% ocean plastics. Spintec Engineering produces silk devices which are embedded with biopharmaceuticals (drug-loaded silk). The company combines century old silkworm breeding with modern biotechnological technologies to develop innovative medical devices. 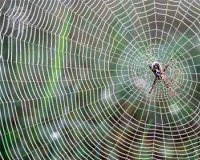 Some spiders produce a silk that outperforms titanium. 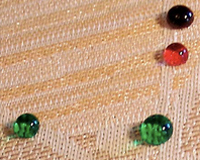 Silk is strong while being biocompatible: it is absorbed by the human body, whereas titanium is only not rejected by the body. 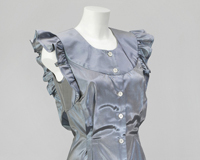 There are therefore many medical applications for silk: silk can help repair muscles and even nerve damage. Today's industrial spinning technologies require temperatures above 200 °C, aggressive organic solvents and high pressures. Compared to industrial processes, biological self-assembly - for example employed by spiders during silk fiber production - requires only low energy input and works at room temperature, normal pressure and purely in water without organic solvents. Spintec scientists translated that biological spinning process into a biomimetic endless fiber spinning machine which operates at processing parameters similar to those evolved by nature. Novomer is a small start-up chemistry company developing novel methods for converting waste carbon dioxide, CO2, into useful plastics, polymers and chemical intermediates. 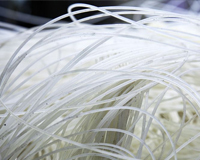 Novomer's materials can be engineered suitable for hard plastics or as foams, coatings and adhesives. Traditional plastics are derived from crude oil or natural gas. Novomer is able to replace many of the carbon molecules with CO2 and reduce the amount of fossil fuel raw materials used. Definition: Biomimicry is the imitation of the models, systems, and elements of nature for the purpose of solving complex human problems. Learn more at asknature.org. Haynest is a fully biodegradable and compostable packaging material. 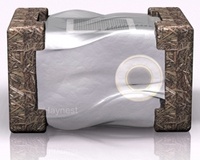 Haynest is produced from sustainable raw materials, using little energy and offering a cradle-to-cradle life-cycle. The material is inspired by the way birds build their nests: by 'gluing' fibers together. Grass, straw, flax and reeds are used as fibres. The binders are based on by-products from the food processing industry, such as sugars, starches or cellulose. Calera develops a technology that converts CO2 to materials. The Calera process both captures and sequesters CO2 as well as provides a sustainable economic case. Calera captures CO2 gas from industrial emitting sources and converts them into calcium carbonate, a white powder with various uses. The powder can be used to make wallboards or can be mixed in cement and concrete. 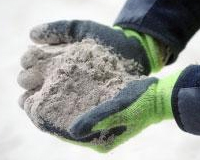 Using this technology it is possible to produce construction materials that are "green" but also have superior performance such as weight and strength over currently available construction materials. The Calera process for the capture and conversion of CO2 takes its lead from nature. The earth's atmosphere has seen even higher concentrations of CO2 in the past and nature has dealt with these high levels of CO2 by a mineralization process whereby marine organisms use CO2 to form calcium carbonate structures that overtime become deposited on the ocean floors. It is estimated that up to 100 million billion tonnes of CO2 have been stored in the geological record in the form of calcium carbonate. Microscopically rough surface additives - inspired by the surface of a lotus - have been introduced into a new generation of paint, glass, and fabric finishes, greatly reducing the need for chemical or laborious cleaning. For example, GreenShield, a fabric finish made by G3i based on the "lotus effect", achieves the same water and stain repellency as conventional fabric finishes while using 8 times less harmful fluorinated chemicals. Morpho butterflies remain a vibrant blue throughout their lives, without ever needing a coat of paint to spruce up a dull finish. The scales on their wings are made of many layers of proteins that refract light in different ways, and the color we see often is due entirely to the play of light and structure rather than the presence of pigments. Teijin Fibers Limited of Japan produces Morphotex fibers. No dyes or pigments are used. Rather, color is created based on the varying thickness and structure of the fibers. Energy consumption and industrial waste are reduced because no dye process must be used. The Eastgate Centre Building, an office complex in Harare, Zimbabwe, has an air conditioning system modeled on the self-cooling mounds of Macrotermes Michaelseni, termites that maintain the temperature inside their nest to within one degree, day and night (while the temperatures outside swing from 42 °C to 3 °C). 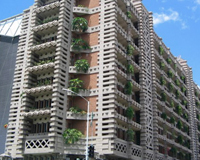 The building is passively cooled and does not require a fuel-based air conditioning system. The $35 million building saved 10% on costs up-front by not purchasing an air conditioning system. Rents are less expensive in this building compared to nearby buildings because of the savings in energy costs. Definition: The Slow Movement advocates a cultural shift toward slowing down life's pace. Slow design and manufacturing seeks a holistic approach to designing that takes into consideration a wide range of material and social factors as well as the short and long term impacts of the design. What started as a hobby almost 10 years ago is now a full blown brand. LNBeanies is a collection of 100% Peruvian baby alpaca winter accessories, ranging from beanies, mittens, collars, scarves, vest... Handmade in Belgium by a team of grannies and partly in Peru by young mothers. The fact that it is all handmade with care makes every piece unique. 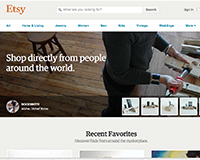 Etsy is an e-commerce website focused on handmade or vintage items, craft conveniences, as well as unique factory-manufactured items. These items cover a wide range, including art, photography, clothing, jewelry, food, bath and beauty products, quilts, knick-knacks and toys. The site follows in the tradition of open craft fairs, giving sellers personal storefronts where they list their goods for a fee. 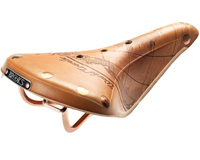 Brooks England is a bicycle saddle manufacturer in Smethwick, England. It has been making saddles since 1880s, the first saddle patent having been filed in 1882. Each saddle is crafted according to high historical standards. After a certain period of use, the saddle visibly moulds itself to the rider and "dimples" appear where the "sit bones" normally rest. The saddle gets "customized" and more comfortable by this stage. Definition: Green chemistry, also called sustainable chemistry, is a philosophy of chemical research and engineering that encourages the design of products and processes that minimize the use and generation of hazardous substances. Taminco is a global specialty chemical company - headquartered in Belgium - with a clear focus on niche markets. Taminco produces alkylamines and formic acid and derivatives. The products are used in a diverse array of products for the agriculture, animal nutrition, water treatment, personal & home care and oil & gas end-markets. In the Carboleum-project Taminco is, together with many partners, researching how the full chemical potential of non-edible agro-waste can be recovered. There are many parts of crop plants which are not used as nutrients for humans or animals. 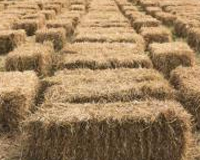 Straw is a great example of such a waste product; although it can be used for animal husbandry, a lot of its potential chemical value is not recovered. Straw contains a wide variety of chemicals which could be used as feedstock for the chemical industry. Straw consists of approximately 70% of carbohydrates or sugars by weight, and 30% lignin. Among technologists, there has long been an ambition to unlock the value of these waste streams, but also recognition of the many technical barriers that challenge the realization of this goal. In recent years technology advances by chemists have provided significantly improved methods to dissolve and process the cellulosic waste streams. One of the first forays in this biochemical process arena was the drive to make bio-ethanol from cellulose instead of food crops like corn or cane sugar. But the ambition level has risen, and now the industry is eyeing chemical intermediates like ethylene glycol and other materials from this feedstock. 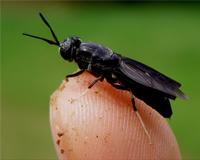 Millibeter is a startup that successfully cultivates the black soldier fly (Hermetia illucens) for scientific and commercial purposes. The company focuses on research and development around the larvae of this fly species, and their ability to convert organic waste into new raw materials. The aim is to get new sustainable resources out of the biomass of larvae and to valorize them. For example, the larvae contain chitin, the substance that gives their exo-skeleton strength. Chitin itself is a raw material for several industrial processes or products, but can be further processed to the valuable substance chitosan. Chitosan is used in water purification, agriculture, the chemical industry, packaging, pharmaceuticals, et cetera. 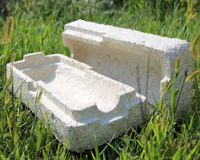 Ecovative provides sustainable alternatives to plastics and plastic foams for packaging, building materials and other applications by using mushroom technology. Ecovative Design has developed a process which uses fungal mycelium to bind materials together. During growth, the material's shape can be molded into various products including protective packaging, building products, apparel, car bumpers, or surfboards. The environmental footprint of the products is minimized through the use of agricultural waste, reliance on natural and non-controlled growth environments, and home compostable final products. Definition: Product Service Systems (PSS) are when a firm offers a mix of both products and services, in comparison to the traditional focus on products. While not all product service systems result in the reduction of material consumption, they are more widely being recognized as an important part of a firm's environmental strategy. Product Oriented PSS is a PSS where ownership of the tangible product is transferred to the consumer, but additional services, such as maintenance contracts, are provided. 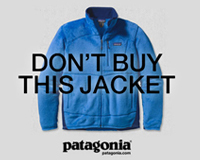 Patagonia is a California-based clothing company, focusing mainly on high-end outdoor clothing. Patagonia promotes the Common Threads Partnership between the company itself and its customers. Patagonia, on the one hand, garantuees to build useful things that last, to repair what breaks, to help find a home for patagonia gear which is no longer needed and to recycle what comes to the end of its useful life. The customer, on the other hand, agrees to buy only what he needs, to repair what breaks, to reuse (share) what he no longer needs and to recycle everything else. 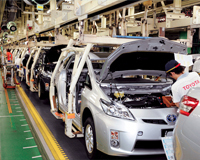 Kia Motors Corporation is South Korea's second-largest automobile manufacturer. All Kia models come with a seven-year warranty. During the three-year warranty period offered by most manufacturers there are an average of 1.9 claims per car against guarantees. During seven years, Kia customers make an average 2.7 claims. That's 0.8 of a claim per car in the final four years of the warranty. This means the Kia cars get checked and repaired more and get more reliable in the long run. 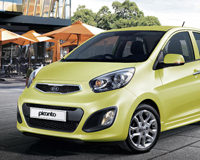 This seems to have a positive effect on the used value of Kia cars on the second hand market. The customer therefore wins twice: he gets 7 years of peace of mind, and a higher resale price. Kia from its side, almost tripled its market share. Definition: Product Service Systems (PSS) are when a firm offers a mix of both products and services, in comparison to the traditional focus on products. While not all product service systems result in the reduction of material consumption, they are more widely being recognized as an important part of a firm's environmental strategy. Use Oriented PSS is a PSS where ownership of the tangible product is retained by the service provider, who sells the functions of the product, via modified distribution and payment systems, such as sharing, pooling, and leasing. 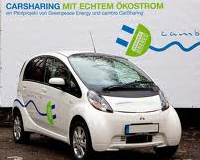 Cambio CarSharing is a carsharing company operating in Belgium, Germany and Ireland (as GoCar). Currently, the cambio-group has over 50.000 customers and provides more than 1.500 vehicles at 490 stations. The vehicles of cambio can be booked anytime. At the station, the vehicle can be opened with a customer's smart card and after returning the car, the trip-data for billing is transferred automatically to the headquarters. The number of kilometers driven and the trip time are calculated. Fuel, car insurance, taxes, maintenance and depreciation are included. Mud Jeans is a Dutch denim brand. Mud Jeans introduced the new fashion concept Lease A Jeans. In this concept using clothing becomes more important than owning them. The idea is simple; the product remains property of Mud Jeans while the customer can enjoy using it. Once the jeans are worn out they can return them to the store. Mud Jeans uses the returned materials for new products, such as hoodies, which in turn can be leased too. DriveNow Carsharing is a mobility concept developed by BMW i, MINI and SIXT. DriveNow provides premium carsharing services in several cities in Germany and North America. As of December 2013, DriveNow operates over 2,350 vehicles, which serve six cities worldwide and over 215,000 customers. DriveNow offers car sharing in the premium segment with a free floating concept. Users do not have to return the cars to a particular station; they can rent the DriveNow cars anywhere in the entire business area. Furthermore, they can end their booking free of charge by leaving the car at any public parking space in the business area. Sheltercare started in 2012 as a response to the oversupply of cheap tents of poor quality at music festivals, which are - in many cases - left behind on the festival camping sites. 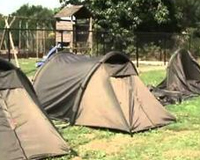 Sheltercare came up with a solution: high quality, readily pitched, reusable rental tents. Large amounts of resources can be saved, and new revenue streams can be created, by the Sheltercare model. The festival visitor furthermore does not have to carry around heavy loads of camping gear, does not have to pitch it and take it down at the end of a tiring festival. 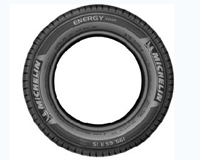 Michelin is a tyre manufacturer based in France. It is one of the two largest tyre manufacturers in the world along with Bridgestone. Michelin chooses for a move towards a product-service system, which consists of selling a service or the use of a product rather than the product itself. For example, trucking companies and airlines can choose to be billed based on the number of kilometers traveled, the number of tonnes transported or the number of landings carried out using tires supplied and maintained by Michelin. Definition: Product Service Systems (PSS) are when a firm offers a mix of both products and services, in comparison to the traditional focus on products. While not all product service systems result in the reduction of material consumption, they are more widely being recognized as an important part of a firm's environmental strategy. Result Oriented PSS is a PSS where products are replaced by services. EcoNation is a supplier of ecological daylight solutions for selected industrial market applications. The flagship product of EcoNation is the intelligent daylight dome called the LightCatcher. Thanks to an advanced mirror and technology-based system, the LightCatcher brings more daylight into buildings than traditional light shafts or domes. The LightCatcher generates green energy and plenty of light, and puts a stop to temperature fluctuations. With the Light Energy program EcoNation offers to finance large industrial lighting projects by itself. EcoNation then places LightCatcher light domes on the customer's roof, absorbs the entire investment, monitors the energy savings together with the customer in real time, and shares the profits with him. The customer receives the same intensity of light as previously but for a guaranteed lower price. He can save immediately 20% to 70% on the energy bill without investing one single euro. The 'Pay per Lux' concept consists in providing the exact amount of light for workspaces and rooms that employees need when using them for specific tasks - no more, and no less. Also maintenance is included. Whenever the lighting needs change, Philips can either adapt the existing system further to the client's wishes, or simply reclaim its materials and recycle them via LightRec, Philips' partner in responsible of the re-use of lighting components. The Ricoh Group provides products and services for printing and document management. Ricoh in many cases remains the owner of the machines and leases them to the clients. The shift of property rights towards the manufacturer increases incentives towards more reliable and durable products. For example, as part of a product-based product-service system, Ricoh offers maintenance services for its photocopiers (for both sold and leased). Within these agreements, Ricoh is liable for the repair costs, including labor and parts. The company now has an increased incentive to improve the quality and reliability of its photocopiers. This results in the reduction of total parts replaced, which contributes to an increase in eco-efficiency. Also there is an incentive to reuse parts in new appliances. Rolls-Royce is a British turbine engine maker. Since its bankruptcy and nationalisation in 1971, the company has gone from holding 8% of the world market for civil turbofans in 1987 to being the second-biggest producer with market share of 40%. A big part of this success has come from integrating services into its products. In fact, services now account for 55% of RR's revenues. 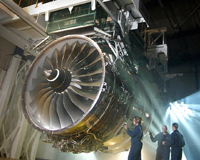 An eye-catching example is that today, aero-engines for which Rolls has a long-term maintenance contract all send back live telemetry data by satellite to the Rolls service centre in Derby. So not only can their engineers use this information to understand how the engines behave, they can also control each engine's service schedule in real time. The other half of this is a complex infrastructure of service centres, workshops and teams of technicians distributed around the world, so as far as possible engines can be serviced as a flow process rather than job-by-job. Engines can even be provided as a service - paid for as power by the hour - they are replaced from a pool when they are brought in for major inspection and overhaul. The Millau suspension bridge spanning the Tarn River in the south of France was inaugurated on the 14th December 2004. It is one of the longest and highest bridges of its kind in the world. According to a classic tendering model the government would pay a contractor to build the bridge. The bridge is then owned by the government, which should go into debt in order to build it. After ten years the 'warranty' of the building expires. The government remains by itself responsible for the repair of a - possibly inferior - structure. Not so in Millau. 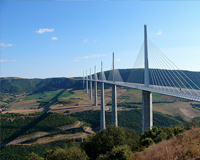 The Millau Viaduct came under the impetus of a public-private partnership between the French government and a construction consortium (Eiffage). Eiffage committed itself to properly finance, build, maintain and operate the bridge. In return, the consortium was entitled to the toll revenues for 78 years (minus the years of construction). After those 78 years, the bridge becomes in principle property of the state. Eiffage takes most of the risks of the project itself. In return, the consortium receives a decent profit margin. The yield is estimated at 9 (pessimistic) to 17 %(optimistic). Result: the bridge was built in three years, used brand new building techniques and would require virtually no maintenance. The bridge hasn't cost the French government a single penny, and is built to last for just about forever. Users (and tourists) finance the entire project. The Liefkenshoek Tunnel (1.3 km) is a tunnel crossing the port of Antwerp, built between 1987 and 1991. The tunnel was a vital missing link for the mobility in and around Antwerp. Budgetary restraints, however, did not allow for the bridge to be built with public funds. So the government chose for a private financing model in the form of the design-build-finance-maintain-operate (DBFMO)-approach. 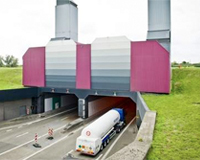 A private building consortium (NV Tunnel Liefkenshoek) accepted to build, finance, maintain and operate the tunnel in exchange for toll revenues. The tunnel was finished in four years. Operations and toll collecting could be started in 1991. From then off the NV Tunnel Liefkenshoek became concessionaire and operator of the tunnel. Definition: In the chemical industry, chemical management services - here to be understood as chemical leasing - is a business model in which the chemical company supplies a substance for a specific service, but retains ownership of the chemical. It is intended to shift the focus from increasing sales volume of chemicals towards a value added approach. It may lead to more efficient use of chemicals, and to quality, environmental, and economic benefits. TaBaChem (Take Back Chemicals) is a service provision business model that increases the efficiency of the active products and processes in the chemical industry. Under TaBaChem a supplier of chemicals makes a substance or chemical product available for a particular application and guarantees a result in accordance with the customer's specific requirements. The supplier is paid for the service provided and no longer for the quantity of substance consumed. Functional units are therefore the basis of the payment agreement. In this way the supplier is encouraged to optimize the action of the substance and to treat it as economically as possible. Under the TaBaChem concept the economic interests of the supplier on the one hand and the user on the other are in alignment. This amalgamation of interests is an important difference compared with traditional business models. The attention for the environmental impacts of the chemical product used is an important aspect of TaBaChem. The target is a zero emissions industry: no emissions, reuse of waste streams and optimum use of raw materials.The producer/supplier of chemicals will provide a particular service for the user and also be responsible for the side streams arising from the use of the chemicals. In this way advantage is taken on the one hand of the continuing optimization of particular activities but also of the smart processing of the waste streams created. Definition: Choice editing is shifting the field of choice for mainstream consumers: cutting out unnecessarily damaging products and getting real sustainable choices on the shelves. The process involves removing environmentally offensive products from commercial consideration or making such products expensive to use. Not only products can be edited out or replaced, but also product components, processes and business models. Colruyt, a Belgian retailer, has been conducting social audits among it's non-European suppliers for the last 11 years. If they don't comply with certain criteria, they are barred from delivering. Colruyt has already ended the collaboration with dozens of suppliers who refuse a (second) audit or fail to improve the working conditions for their employees. Definition: Consumers, governments, and companies are increasingly demanding details about the systems and sources that deliver the goods. They worry about quality, safety, ethics, and environmental impact. Farsighted organizations are directly addressing new threats and opportunities presented by the question, "Where does this stuff come from?". 'Honest by' is the first company in the world to share the full cost breakdown of its products. The company operates with a 100% transparency policy. Every part of the collaboration process is transparent, including the store mark up calculations. 'Honest by' conducts extensive research into the sources of the raw materials and traces back the origins of fabrics and trimmings used in the products. In communicating all information regarding a garments production process 'Honest by' wants to shed light on the questions: where is it made and by whom. Definition: Stewardship is an ethic that embodies the responsible planning and management of resources. Features of a resource stewardship business models are often a supplier accreditation programme that drives more ethical or sustainable business practices at the grass-roots level (often in developing nations). The programmes might deliver environmental and social sustainability initiatives. Fairphone is a social enterprise with the aim to develop a smartphone designed and produced with minimal harm to people and planet. The main motivation for founding Fairphone was to develop a mobile device which does not contain conflict minerals and with fair labor conditions for the workforce along the supply chain. The fairphone is a a smart phone that is built to last using open, responsible design. 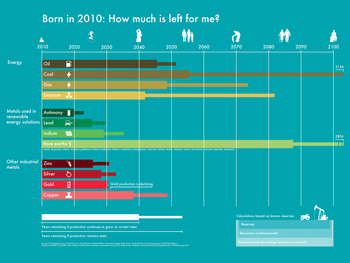 It adresses the full lifespan of mobile phones, including use, reuse and safe recycling. 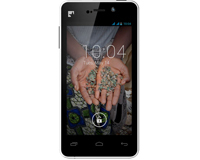 The project raised money for the initial batch of phones through pre-orders, reaching the required 5000 on 5 June 2013. The project proceeded to sell all 25,000 of its initial production run on 13 November 2013, via pre-orders, nearly a month in advance of the revised release date. A second production run of 35,000 phones was released for sale on 21 May 2014. Definition: Consumer education models sensitize consumers about the impact of their purchases. It induces consumer activism that is based on the concept of dollar voting. It is practiced through 'positive buying' in that ethical products are favoured, or 'moral boycott', that is negative purchasing and company-based purchasing. iFixit aims to reduce electronic waste by teaching people to repair their own gear and offering tools, parts, and a forum to discuss repairs. iFixit believes everyone should have the right to maintain and repair their products. 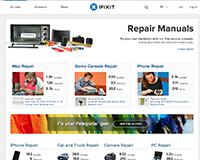 iFixit earns money by selling spare parts and repair kits. iFixit provides a platform known as Dozuki to enable others to use iFixit's documentation framework to produce their own documentation. 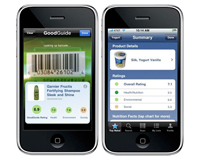 GoodGuide.Com is an online web and mobile app which enables consumers to retrieve evaluations of the health, environmental, and social impacts of consumer products such as toys, food, and detergents. GoodGuide's mission is to help consumers make purchasing decisions that reflect their preferences and values. The organization believes that better information can transform the marketplace: as more consumers buy better products, retailers and manufacturers face compelling incentives to make products that are safe, environmentally sustainable and produced using ethical sourcing of raw materials and labor. 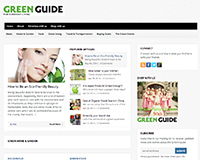 The Green Guide is an online magazine on eco-conscious and healthy living produced by the National Geographic Society. Definition: Demand management modes seek to reduce the energy or materials demand of the customers. Energy Saving Companies (ESCOs) optimise energy consumption of companies and public buildings and in return get subsidized or paid by part of the savings achieved. The benefits to a firm for actively engaging in demand-side management could be numerous - reputational benefit, risk reduction, avoiding scale-up costs. The Eneco Smartmeter is a digital energy meter that allows consumers to track their gas and electricity usage accurately and in real time. The meter helps customers to reduce unnecessary energy use, by providing insights into their own energy use. 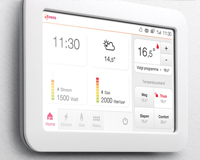 Eneco also offers other products and services such as energy-efficient central heating boilers, personal energy monitoring and the online Energy Manager. Opower is a publicly held company that partners with utility providers around the world to promote energy efficiency. Opower's software provides customers with better information about their energy consumption, along with personalized ways to save energy and money. Opower encourages customers to save energy by offering comparisons with similar homes and peers. Utilities use the Opower software platform to deliver key customer-facing applications that reduce energy demand and improve customer perception of the utility. 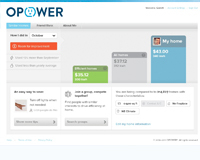 The average customer receiving the Opower platform has cut energy usage by more than 2.5 percent. Definition: The Slow Movement in general advocates a cultural shift toward slowing down life's pace. Slow fashion is a deliberate strategy to slow the fast-fashion cycle, by not constantly introducing cosmetic innovation and encouraging greater longevity in use. Opinel is a company that has manufactured and marketed a line of self-named wooden-handled knives since 1890. The family-run company sells approximately 15 million knives annually. 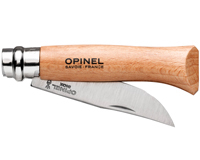 Originally sold as a working man's knife, an Opinel knife has become emblematic of French culture. In the French language, the term "Opinel" has come a genericized trademark to refer to any wood handled pocket or penknife, not necessarily only those made by the company. Opinel knives are manufactured for the long term. The design of the traditional series has changed little since the first days of Opinel. Patek Philippe is a prestigious Swiss luxury watch manufacturer founded in 1851. 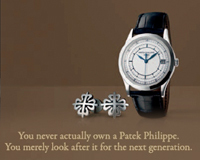 The company promotes its watches with the baseline "You actually never own a Patek. You merely look after it for the next generation." The manufacturer promotes a Patek Philippe watch as a treasure for (beyond) life with appeals to emotion and heritage. Definition: Product durability and longevity through product redesign potentially slows product replacement cycles. Furthermore, a change in the culture of fast fashion could significantly reduce excessive consumption and premature disposal of useful products. Market places for second-hand goods create an incentive for owners to take more care of products to ensure higher second-hand value. Rather than throwing out an entire smartphone when something breaks or you want to upgrade, the Phonebloks concept fits together like Lego so you can swap pieces out as needed. The concept is currently being developed as Motorola's project Ara. Behind the idea of Phonebloks is the independent organisation with the same name encouraging the development and production of products that produce less electronic waste. According to Phonebloks, modularity was, and still is, the answer. 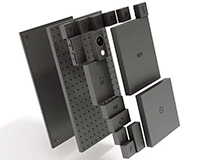 Never intending to build a mobile phone theirselves, Phonebloks, as an idea, is a means to get the industry's attention and to get it moving towards the best mobile phone for world and population. Cycloop (derived from 'cycle' and 'loop') aims to prolong the lifetime of bicycles. The company adds value to depreciated, often special, bicycles. Cycloop checks and repairs the bikes and fits them with unique accessories. Cycloop also offers the "Mix my ride" service, with which bikes can be customized on demand. There are more than 90 Lego bricks for every person on the planet, according to Lego's senior director of environmental sustainability Tim Brooks. While this makes the toy maker a highly visible user of plastic, the durability and modular nature of its product portfolio has also seen Lego become a poster child for the emerging circular economy. 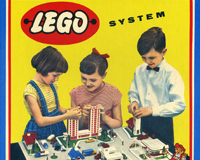 Lego's signature brick has been built for compatibility as far back as 1958 and has been designed to last just as long - each element can be used again and again, with no end-of-life in sight. It is quite rare that something you bought in 1958 can still be used with something you buy off the shelf today. 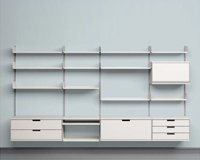 Vitsœ is a British furniture company that manufactures and retails furniture designed by Dieter Rams. Vitsœ's furniture is known as a German design classic. For more than 50 years it has been Vitsœ's goal to make long-living furniture. Vitsœ's main product, the 606 Universal Shelving System is a modular system that can be adjusted and extended to individual needs over time. 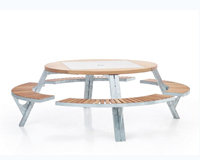 Most Vitsœ furniture comprises recyclable aluminium, steel and compostable wood that is assembled with mechanical joints (ie, not bonded or welded) to permit repair and end-of-life dismantling. Vitsœ also reminds customers that they can buy less today because they can return tomorrow to ask for help reconfiguring, re-planning or moving your existing furniture. Accordingly Vitsœ sellers do not earn commission because that rewards short-term thinking. 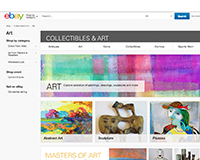 E-bay.com is an online auction and shopping website in which people and businesses buy and sell a broad variety of goods and services worldwide. E-bay is commonly used as a marketplace to sell used goods from consumer to consumer. In that way, E-bay created a transparent and global market for used goods that are usually cheaper than new goods in stores. Definition: In marketing and advertising, premium refers to a segment of a company's brands or products that carries tangible or imaginary surplus value in the upper mid- to high price range. Premium brands are designed to convey an impression of exclusiveness, especially in the mass markets. The premium quality, and the higher prices associated with it, often increase product longevity and slow down consumption. Extremis is a manufacturer of high end garden furniture. In the company's own words: "in extremis' designs every single aspect is the fruit of careful consideration. Extremis' tools must always be functional. And above all always better than the products already available." The company reduces transport volumes, uses sustainably managed raw materials, makes optimum use of raw materials and observes quality standards guaranteeing that products last a lifetime. Extremis' aim is to design products with a long lifetime, both esthetically and physically. 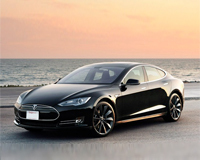 The Tesla Model S is a full-sized electric five-door, luxury liftback, produced by Tesla Motors, making electric cars cool. Since its introduction in June 2012 it has achieved rapidly-growing sales, particularly in Norway and California. With prices from US$69,900 up to US$79,900 the Model S can be qualified as a premium branded car. The special edition Model S Signature was sold out before deliveries began. Tesla expects global sales of 35,000 units in 2014, a 55% increase over 2013. 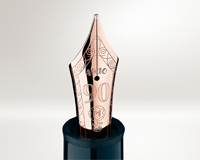 Montblanc, founded in 1906, is a German manufacturer of luxury writing instruments, watches, jewellery and leather goods. Montblanc supports the conviction of preservation and opulence. Montblanc products are made to be kept and cherished. Definition: Frugal business models typically focus on provision of products and services to low-income markets, often in extreme poverty. The business models take complex product concepts and redesign them to pare down to their base functionality. Permaculture is an approach to design, construction and agriculture of working with, rather than against nature. Permaculture learns and benefits from the processes and the interplay among them in nature. An example of permaculture is agroforestry. Agroforestry is an integrated approach of using the interactive benefits from combining trees and shrubs with crops and/or livestock. Hügelkultur is another example. This is the practice of burying large volumes of wood to increase soil water retention. The porous structure of wood acts as a sponge when decomposing underground. During the rainy season, masses of buried wood can absorb enough water to sustain crops through the dry season. 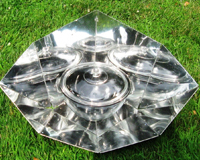 A solar cooker is a device which uses the energy of direct sunlight to heat, cook or pasteurize food or drink. Many solar cookers presently in use are relatively inexpensive, low-tech devices, although some are as powerful or as expensive as traditional stoves, and advanced, large-scale solar cookers can cook for hundreds of people. Because they use no fuel and cost nothing to operate, many nonprofit organizations are promoting their use worldwide in order to help reduce fuel costs (for low-income people) and air pollution, and to slow down the deforestation and desertification caused by gathering firewood for cooking. 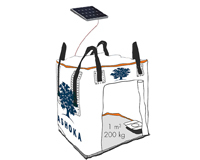 Definition: Responsible product distribution or promotion refers to any means of transportation/hauling of goods between vendor and purchaser with lowest possible impact on the ecological and social environment, and includes the whole distribution process from storage, order processing and picking, packaging, improved vehicle loadings, delivery to the customer or purchaser and taking back packaging. Robuust is the first packaging-free shop in Belgium. Customers take their own hygienically cleaned containers to the shop and refill it with anything they need. This saves natural resources, reduces CO2 emissions and reduces waste. The shop sells seasonal fruits & vegetables (if possible from local farmers), dry foods such as rice, pasta, sugar, tea and coffee, but also dairy products and beverages such as beer, wine and natural juices. The shop opens in Antwerp in August 2014. 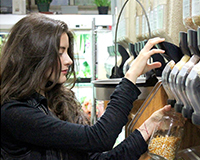 Product refill business models include packaged consumer products that can be directly refilled and reused after use and reduced-material refill pouches. 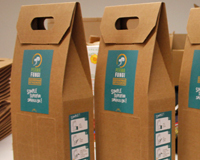 There may be financial incentives, such as discounts on the next purchase or a free product after a certain number of refills, to stimulate packaging reuse. At the moment the model seems only viable in specific market niches, or with specific incentives. 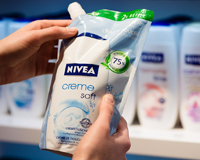 The use of pouches as alternative refill packs to a standard plastic bottle, however, is becoming increasingly common. Definition: A nonprofit organization or not-for-profit organization is an organization that uses surplus revenues to achieve its goals rather than distributing them as profit or dividends. Recup & Design is a social economy platform for design from recycled material in Ghent. The company offers a concept store for products with a story. Such as for example, tables made out of recovered squash flooring. Recup & Design employs among others people who have difficulties joining the regular labour market. Cambio, a social economy enterprise in Deventer, The Netherlands, pimps old bikes for it's customers. Twenty mechanics, who have difficulties joining the regular labour market, work in the bike shop. Their activities range from simple repairs to disassembly and the complete rebuild of recycled or (on demand) pimped bikes. Definition: Localisation is the practice of embedding a business near its consumer market, sourcing the resources locally and adjusting the products and services to local needs. Glocal is an experimental project of Ecover to explore producing cleaning products using local 'waste' materials, local manufacturing methods and global knowledge. The end goal is to find a commercially viable way of doing this and develop the ultimate sustainable business model for the emerging bio-economy. Glocal is currently testing in Mallorca. Why Mallorca? Because it is very easy to clearly define "local": it is an island, it has abundant natural resources (both renewable energy and waste from agriculture e.g. citrus and olives) and it uses a lot of cleaning materials (a massive tourism industry). 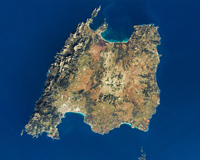 Currently Mallorca imports much of what is needed to support its tourism industry and the environmental and social consequences are becoming more and more obvious. There is a clear need for local solutions that don't compromise the natural environment - one of the main reasons people visit the island. iMade is a project that explores the possibilities of digital manufacturing to stimulate a local/regional manufacturing industry in Flanders, Belgium. Localized production of tailor made products could be a powerful answer to mass production in low-wage countries and long distance transportation. iMade intends link a network of service centers to locally produce customized products and create employment opportunities. The grid is a work in progress. We welcome all input and feedback. The grid: why and how? Traditional environmental improvements have assisted in reducing energy, resource intensity and emissions and waste per unit of production. These product and process improvements have been insufficient to date to offset the rising resource use and environmental impacts associated with a growing developing global population. To deliver long-term profitability and sustainability on this scale requires fundamental changes in the global industrial system, and this necessitates an integrated approach that goes beyond traditional environmental initiatives and reconceives how businesses operate. To grab the opportunities of a sustainable future, innovations need to introduce change at the core of the business model to tackle unsustainability at its source rather than as an add-on to counter act negative outcomes of business. Business model innovation (BMI) is more than just changing the product and service offerings to the customers. BMI involves changing the way you do business rather than ‘what you do’ and so much go beyond process and products. BMI is a pro-active strategy to redesign the core business logic of the firm for sustainable development. One of the key challenges in designing business models in such a way that enables a firm to capture economic value for itself through delivering social and environmental benefits.